Here’s a new compilation which attempts to catalog current activity in Hobart’s noise and experimental music circles. I write ‘attempt’ not because I doubt its success but because, honestly, I have no bloody idea what’s happening in Hobart. None of these artists are familiar, but most provide ample cause for curiosity. 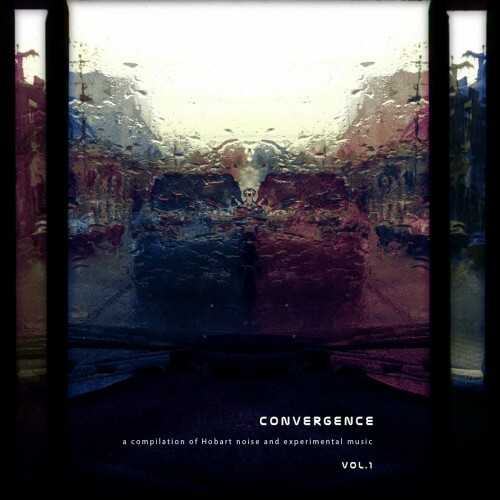 Convergence comes courtesy of Rough Skies, the label responsible for the Community compilations. While these usually offer a pretty diverse range of sounds, Convergence focuses on the weird stuff. According to the label’s operators Julian Teakle and Matt Warren, they have enough material to release a second compilation, which they plan to do in the coming months. There’s a lot of material to cover, and the sounds vary dramatically. Kovacs is abrupt electronic noise recalling some of Hafler Trio’s more cinematically inclined offerings, while mumble(speak) is similarly abrasive and yet steady enough to lull you into a bleak calm. On the otherhand, Nick Smithies offers trebly, restless techno ahead of a fascinatingly brief and cryptic lo-fi vignette from Darren Cook. And that’s only four of the thirteen artists featured. You can stream the whole thing below and then buy it digitally for five bucks. Invisible? Maybe if you choose not to see it. Most in mainland Australia have managed to be steadfast in their narrowmindedness, but perhaps if ears/eyes were opened people would discover that Tasmania is home to some of the most interesting and original music in Australia at the moment. (This is coming from a non-Taswegian by the way).